Beth Carton (third from right, front row) made camogie history on Saturday night…..Photo: Inpho. Beth Carton’s dedication and hard work was rewarded on Saturday night at the Citywest Hotel as the De La Salle hotshot collected Waterford’s first ever camogie All Star. She scored 3-36 over five championship matches (3-5 from play) as Donal O’Rourke’s side defeated Limerick and Clare to qualify for the All Ireland quarter finals. In those two victories, she was front and centre. Against Limerick, she churned out 1-10, assisted the second goal for Kaiesha Tobin and caught a vital puckout towards the end. The following Sunday, she played a part in all twelve scores at Cusack Park. During the league, the leader of the Déise attack was responsible for 2-37. Amazingly, the UL student changed her free taking technique mid-season on the advice of manager Donal O’Rourke. She took them off her left during the league and Ashbourne Cup but O’Rourke persuaded her to practice off her right and those hours spent on the De La Salle pitch reaped dividends during the summer. 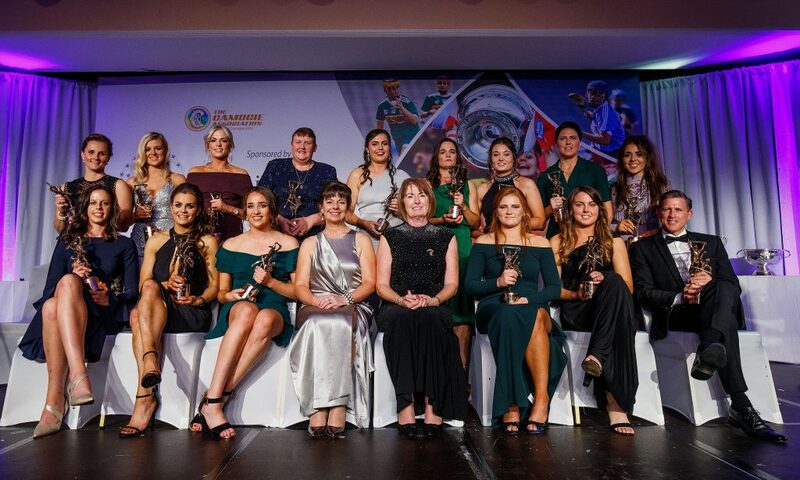 2018 Camogie All Stars: Aoife Murray (Cork); Grace Walsh (Kilkenny), Sarah Dervan (Galway), Pamela Mackey (Cork); Hannah Looney (Cork), Anne Dalton (Kilkenny), Chloe Sigerson (Cork); Gemma O’Connor (Cork), Meighan Farrell (Kilkenny); Orla Cotter (Cork), Katie Power (Kilkenny), Denise Gaule (Kilkenny); Katrina Mackey (Cork), Cait Devane (Tipperary), Beth Carton (Waterford).